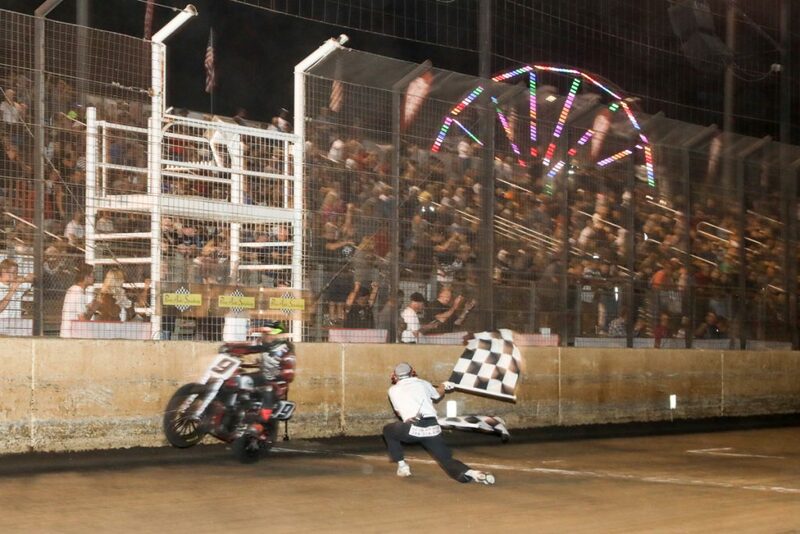 PERRIS, CA (October 10, 2017) – In its return to professional flat track racing after more than 60 years away from the sport, Indian Motorcycle Racing swept the 2017 American Flat Track Championship. Aboard the brand-new Scout FTR750 premier race bike, the Indian Wrecking Crew, consisting of Jared Mees, Bryan Smith and Brad Baker, finished the 2017 season with 14 total wins, 37 podiums and six podium sweeps. Mees, the 2017 Grand National Champion, finished the season just as he started in March at the Daytona TT – on the top of the podium. 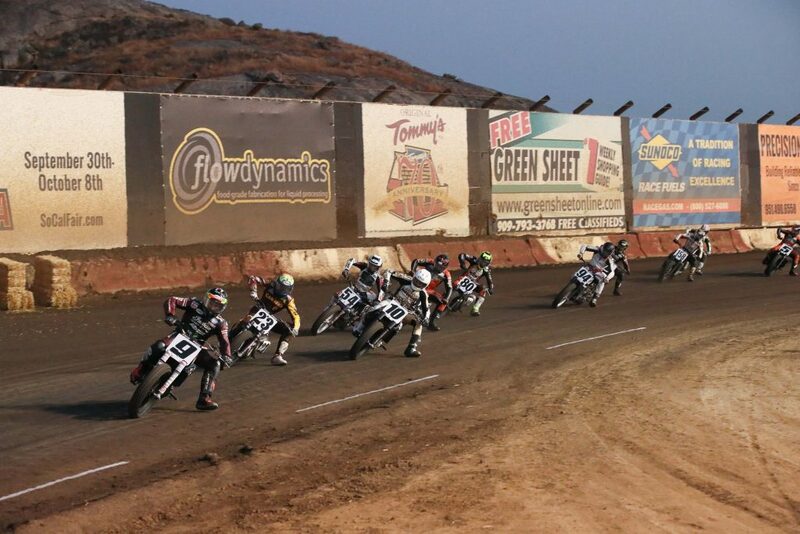 The win at the American Flat Track Finals in Perris, Calf. was Mees’ 10th of the season and set a new single-season record with 17 total podiums. Through 18 races aboard the Scout FTR750, Mees earned himself a career year and his fourth Grand National Championship. Mees’ Wrecking Crew teammates Smith and Baker finished second and third, respectively. Smith reached the podium nine times, with four wins, three runner-ups and two third-place finishes. Baker tallied 10 podiums, despite being out with an injury and unable to compete in the final two races. He earned five runner-ups and five third-place finishes. 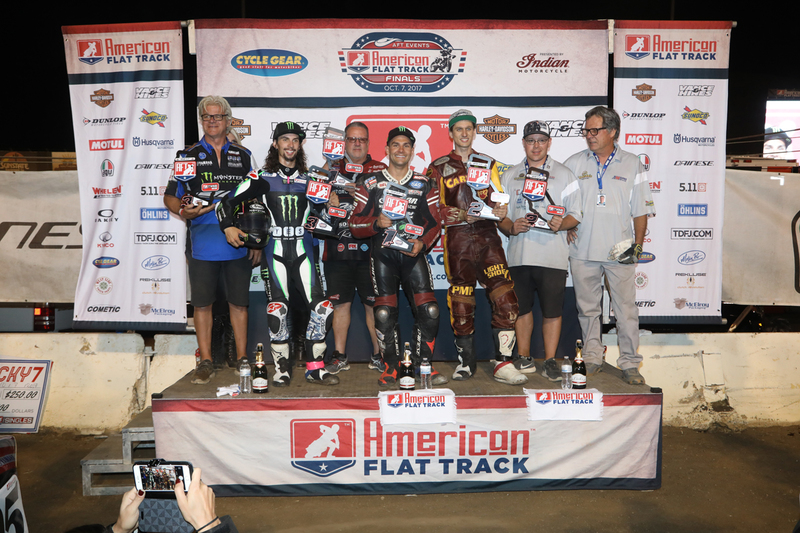 Indian Motorcycle, backed by Allstate Insurance, secured the 2017 American Flat Track Manufacturer’s Championship.